After a winning career in hand as a weanling and yearling, this handsome gelding spent the next four years growing up… and up… and UP. 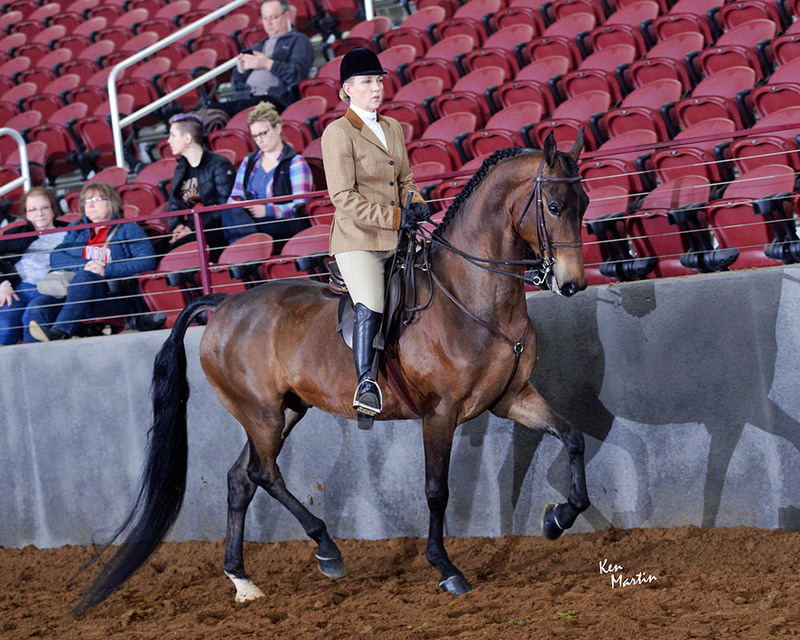 Now standing a full 16 hands, he is a magnificent hunter that just made a winning debut in the Novice Horse Hunter Pleasure at the new 2018 Indiana Spring Classic. Double Serenity Masterpiece, his dam is out of the great show mare Gotta Lotta Charisma. She is also the dam of last year’s Michigan Futurity Weanling Champion DSD Rihanna. This gelding thinks right, is simple to work and might make an excellent equitation mount in the future. There aren’t many out there with this level of quality in this size, so don’t wait to call!